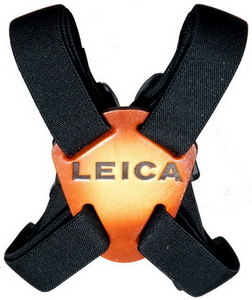 Leica's Slide & Flex Bino-System strap greatly distributes a binocular's weight across your back and shoulders, as well as keeping them close to your body to prevent swinging around. It is recommended for using binoculars during activities where you'll be moving around quite a bit, though you'd never want to be galloping upon a horse with such a contraption. An added benefit to a suspender harness strap is that you'll be able to hold your binocular steadier thanks to the elasticity maintaining a bit more tension which lends significant support. With Leica Slide & Flex Bino-System Strap you will no longer have to keep putting your binoculars in and out of your bag. You will always have your binoculars right by your hands. Leica Slide & Flex Bino-System Strap Binocular Suspender Harness 98537 is not only a convenient way to carry binoculars, but it also adjusts to whatever length is comfortable for you.